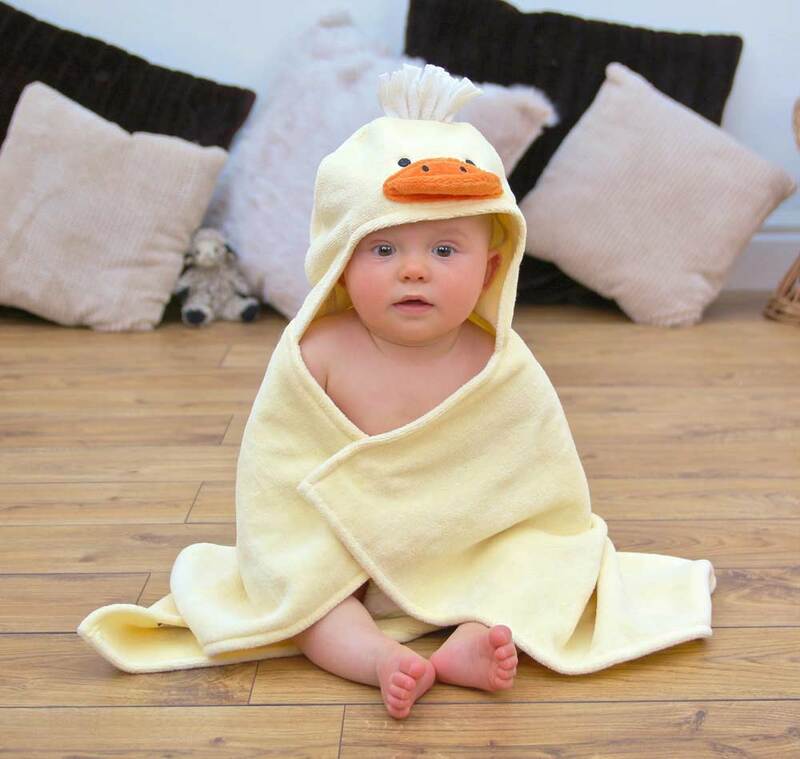 This Cuddly Duck baby towel is made using the finest soft and super-absorbent 100% velour cotton terry towelling which stays plush, wash after wash.
For a really special touch, try personalising your new Cuddly Duck baby gift towel with your choice of name beautifully embroidered on the back. 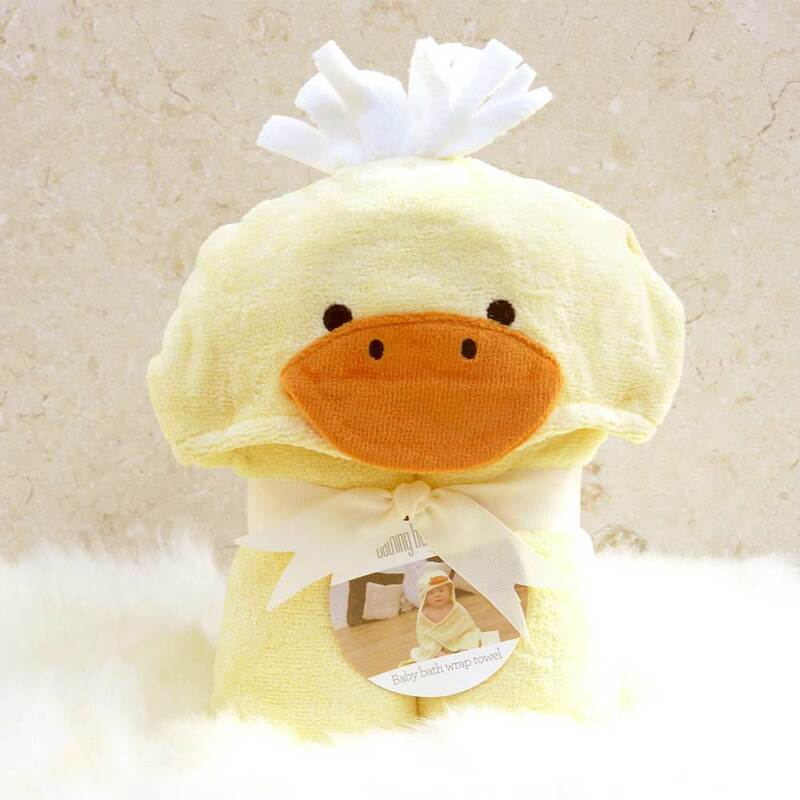 If you select the gift-wrap option, we will present this Cuddly Duck baby bath towel in a Bathing Bunnies gift box lined with tissue paper to create an extra special baby present. 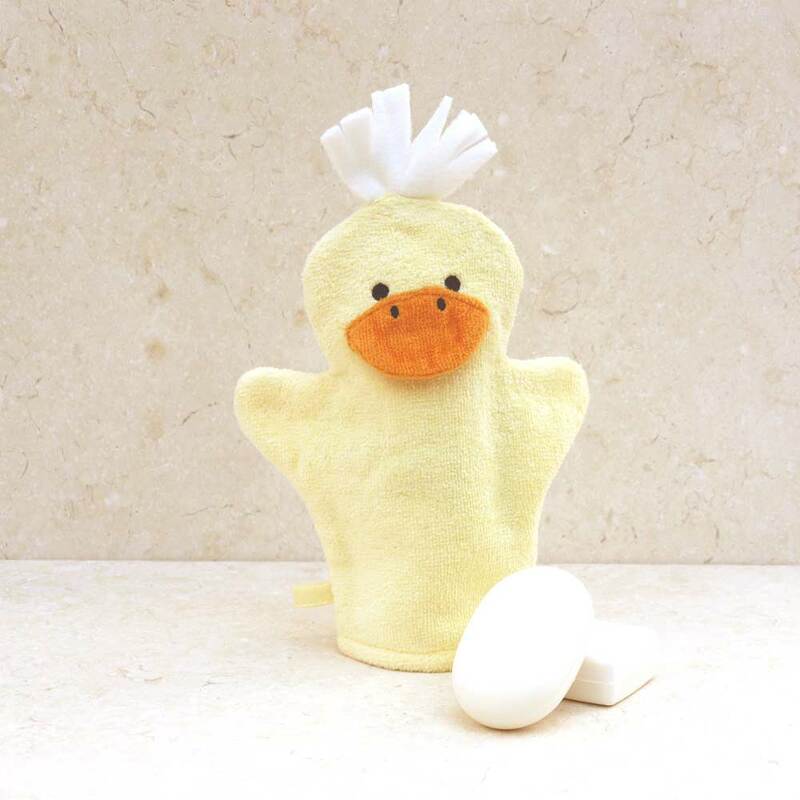 Treat someone special to a super-cute Cuddly Duck hooded baby bath towel made in snuggly soft lemon cotton towelling and featuring a bright orange beak and tuft of white head feathers! 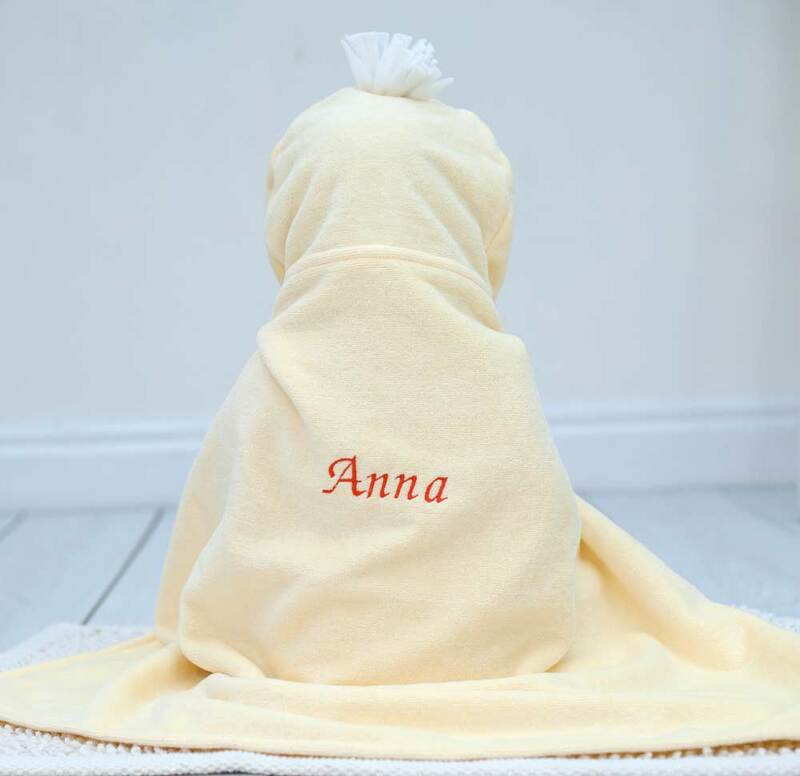 Our luxurious soft hooded baby bath towels are the ultimate in bath time chic and make the perfect personalised baby gifts - for baby shower presents or new baby gifts for christenings, birthdays and Christmas. 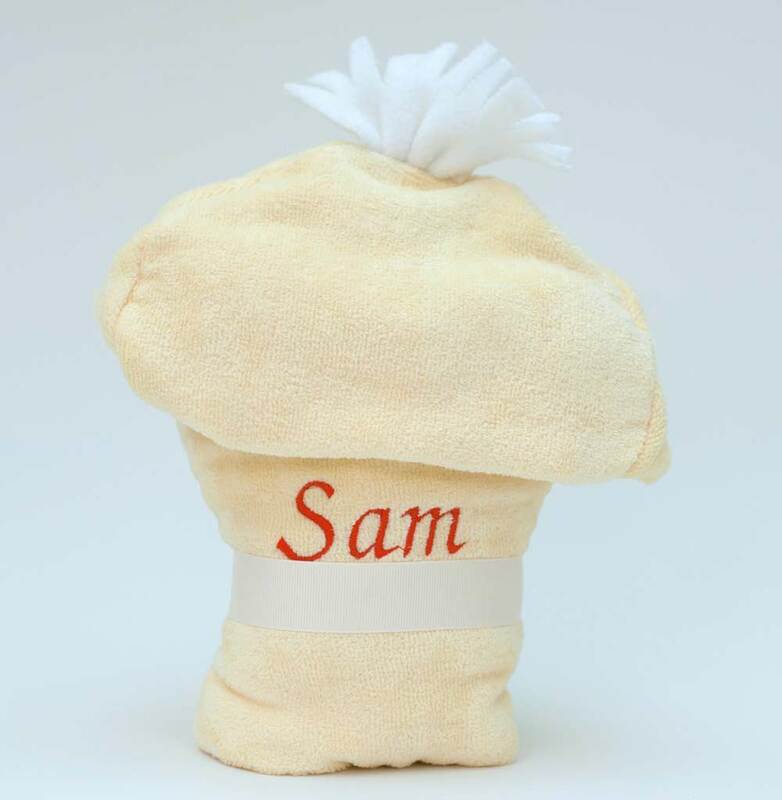 They are cleverly folded and beautifully presented with a cream ribbon to create a freestanding soft 'toy'. 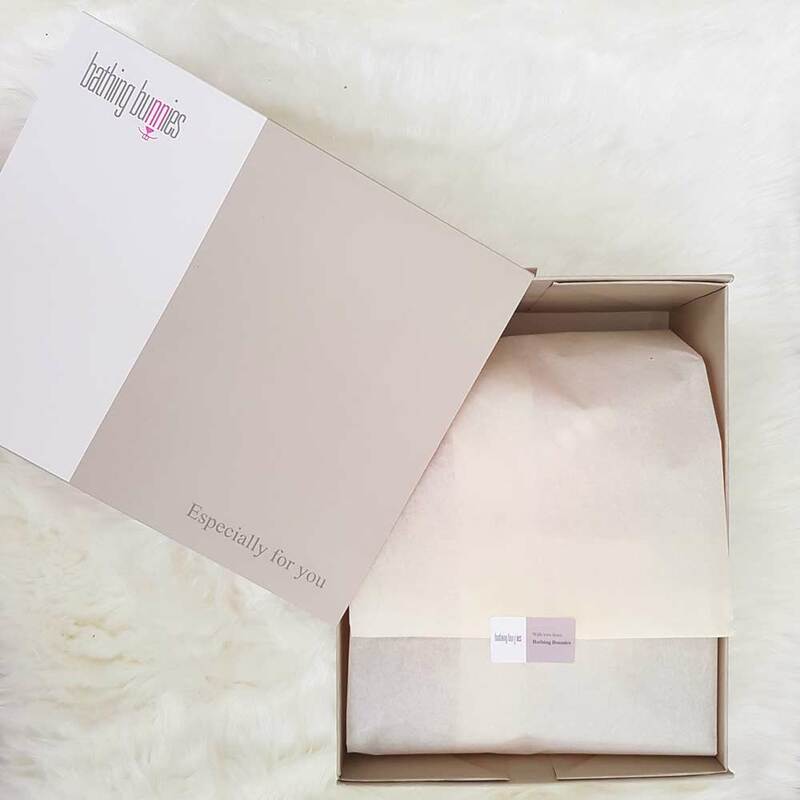 Good quality product that my friend loved. Very cute item and nicely packaged. Good quality & personalization great touch. A beautiful gift. Would highly recommend. 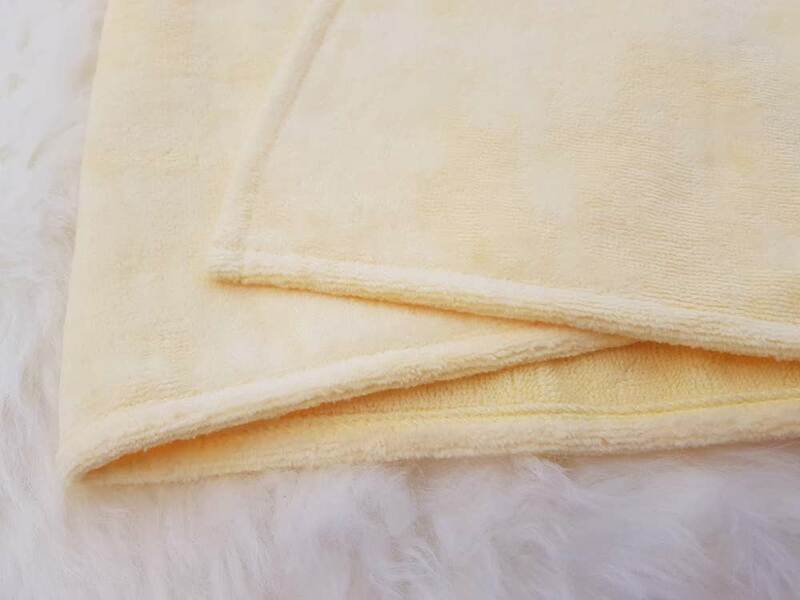 Lovely towel, good quality and looks very sweet! Very accommodating and efficient service! Bought for my grand daughter. Her mother was very pleased with it. I did t get these gifts in time though which was very disappointing. Very happy with the towel for my son! Great unique gift for a little one! Good quality of the towel, looks very comfy! Brilliant. Great fun and useful gift for a newborn. Bought for a friend. Had a lovely response. They adored it! Never saw it myself but I think it went down a treat. Very fast and efficient on delivery. Very cute towel, good quality, arrived nicely folded which was ideal as it was a present. The towel is so cute, it was a gift for a mother to be, who absolutely loves it. Quality of the towel is good too.